In this moment of “peak TV” and fear of missing out, the first season of a television show is a probationary period, with new shows trying to prove themselves deserving of space on America’s overtaxed DVRs. The most interesting thing about The CW’s viral plague thriller Containment—one of the few interesting things about it—is how lackadaisical it is, as if the audience’s patience and discretionary time are infinite resources. It plods forward with no vitality, no spark, and no absorbing characters. 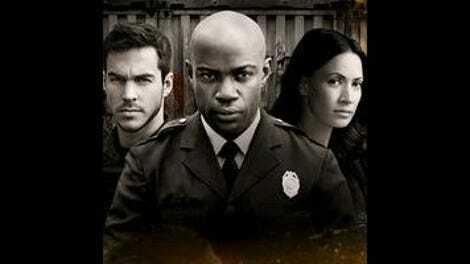 For a show about a hardy, communicable disease, Containment isn’t the least bit infectious. Julie Plec, who created The Vampire Diaries and The Originals, developed Containment from the Belgian series Cordon, about the initiation of a large-scale quarantine to prevent a merciless strain of avian flu from overtaking Antwerp. In Containment, Atlanta is the city under siege—though honestly, as the home of the Centers For Disease Control And Prevention and the capital of a state with famously generous film production tax credits, Hotlanta is practically begging to become a hot zone. And so it does, with a Syrian refugee turning up with a little-heard-of virus and blood pouring out of every available orifice. Dr. Sabine Lommers (Claudia Black), a federal health crises manager, is dispatched to Atlanta and immediately orders the installation of a cordon sanitaire—a massive, quarantined perimeter in the center of the city near the epicenter of the outbreak. Alex “Lex” Carnahan (David Gyasi) is a humorless Atlanta cop who’s less than pleased when Dr. Lommers swoops in with her jurisdictional trump card, but has to work with her all the same to strictly enforce the quarantine while scientists race to find a cure for the disease. Complicating matters in the most romantic way, Alex’s girlfriend, Jana (Christina Moses), is stuck inside the cordon, putting her at risk as the climate and conditions inside the sealed-off community precipitously decline. Once the virus is on the move and the cordon is installed, Containment begins to resemble a terrestrial Under The Dome, CBS’ adaptation of Stephen King’s novel about a town sealed off from the world with a impenetrable alien dome. (There’s also a hint of Zoo, though Containment lacks the aggressive goofiness that makes that show so compulsively watchable.) The story inside the cordon is about how quickly civility dissolves under zero-sum circumstances, and it’s not long before bandana-faced street toughs are roaming the streets in search of trouble. Teresa (Hanna Mangan Lawrence), an unwed teenage mother is also stuck inside the cordon, cut off from her boyfriend Xander (Demetrius Bridges), who’s determined to break into the cordon so Teresa doesn’t give birth alone. Meanwhile, in a nod to Steven Soderbergh’s Contagion, the cordon has its own web-based muckraker. Leo (Trevor St. John) spreads poorly vetted information through his website, infecting the people around him with his conspiracy theories. He’s a problem far longer than he has to be because the authorities initially write him off as “just some blogger,” as authorities in this type of story so often do. There’s very little Containment does that other similar stories don’t, other than port it to a television series with snail-slow pacing so the drama can unfold in near real-time. With the story rolling out so slowly, there’s plenty of time to wonder how Containment is going to subvert expectations, making it all the more disappointing when the show slowly but surely hits all the marks of a standard outbreak-panic blockbuster. The controversy over Syrian refugees and fears over bioterrorism lend Containment some currency, but thematic timeliness doesn’t reinvent the story, it merely changes the contours. 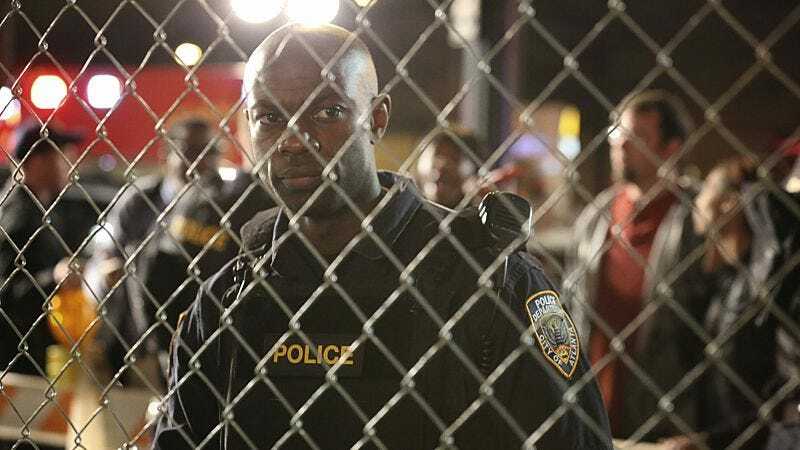 For what it is, Containment is just fine, flitting between its disparate character ensemble at a reasonable pace and wringing maximum pathos out of each wrenching choice. The acting is underwhelming all around with the exception of Gyasi, who only seems limited by what’s on the page. Pilot pro David Nutter lends the show a handsome look, and were Containment a film rather than a television show, it would be pleasant, if predictable. But it is a television show, one that begs the viewer to ask upfront where this story is headed and how quickly it’s getting there. The answer? Nowhere interesting and not nearly fast enough.